There are a number of ways to undertake a renovation project, but before you decide which is best for you, consider one method that is gaining in popularity among owners who are looking to renovate their properties. The design-build approach brings together professional design and construction expertise under one roof, delivered by a single company. This results in improved continuity of service, and allows you to save both time and money. Is the Design-Build Service Right for You? Design-build is ideal for those who like to play an active role in planning their renovation or construction project, and who appreciate the convenience and continuity of dealing with one company from beginning to end. If you are looking to renovate or build your dream home, a company that offers a design-build service will work with you throughout all of the design and construction steps in order to create the project that best suits your needs, your expectations, your desires and your budget, and will be there to answer all of your questions concerning your project. All of these elements are an integral part of the design-build planning process. As the client, you are the most important member of the design-build team. Your desires and your ideas drive the project in terms of the architecture, the design, the selection of materials and the budget. You bring your specific desires to the design table, and share your concerns, in order to facilitate the design of your project. The design-build company provides the design and construction experience to turn your ideas into reality. In order to guide you in your selections, the contractor can show you examples of similar projects, including economical, practical and attractive solutions and answers to all of your questions. The team that is responsible for your project will also guide you in your selection of quality materials that suit your tastes, your desires and your budget without compromising your vision for the project. The design-build company respects your tastes, your expectations and your desires, in full compliance with building code standards, working together in the spirit of teamwork to deliver a superior-quality project and exclusive design. You can maintain your peace of mind during the construction phase, knowing that the team that is responsible for the construction is entirely familiar with the design and the specific details of your project. You can rest assured that every important element related to the execution of your project has been verified and approved, which decreases or even eliminates the risk of unpleasant surprises. Changes or alterations always result in time delays and additional costs. Design-build construction reduces the likelihood of this occurring to a minimum, and helps to keep your project on the right track and within your budget. Not Only a Beautiful House… A Customized Home! A design-build company offers you more than simply home renovations or construction. Right from the beginning of your project, the designs are strongly rooted in practical application and experience. Project planning takes into consideration the limitations of the construction process and your initial budget. The work is planned and executed by a single company, which greatly reduces the risk of unpleasant surprises. The result is that the renovations or construction is carried out in accordance with your tastes, your desires and your budget. When you work with a company that offers a design-build service, you are working with professionals who have the expertise and knowledge to help you make your dreams come true. 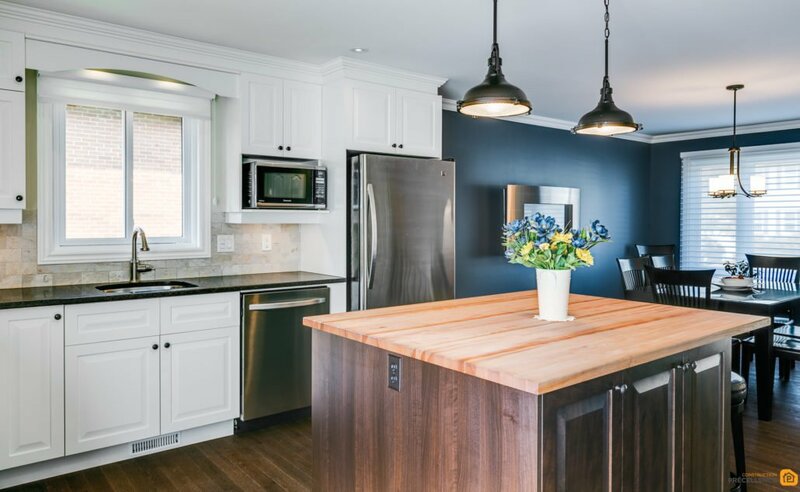 Whether you are planning to renovate a kitchen or bathroom, undertake an expansion project or even build a new home, working with a company that specializes in design-build, such as Construction Précellence in the Greater Montreal Area, may be the ideal solution for you. The right choice can make all the difference!